The Devils announced their roster for the Buffalo Sabres Prospects Challenge on Thursday. The three-day event will be held at the First Niagara Center from Sept. 12-14. The Devils will open against the Sabres on Saturday, Sept. 12 and take on the Boston Bruins the following night. The tournament will wrap up on Monday, Sept. 14 when the Sabres take on the Bruins. The tournament will offer plenty for the home fans who get their first in-game look at second overall pick, Jack Eichel. Meanwhile, the Bruins will debut their three first round draft picks from 2015 in Sunrise in Jakub Zboril (13th overall), Jake DeBrusk (14th) and Zach Senyshyn (15th). 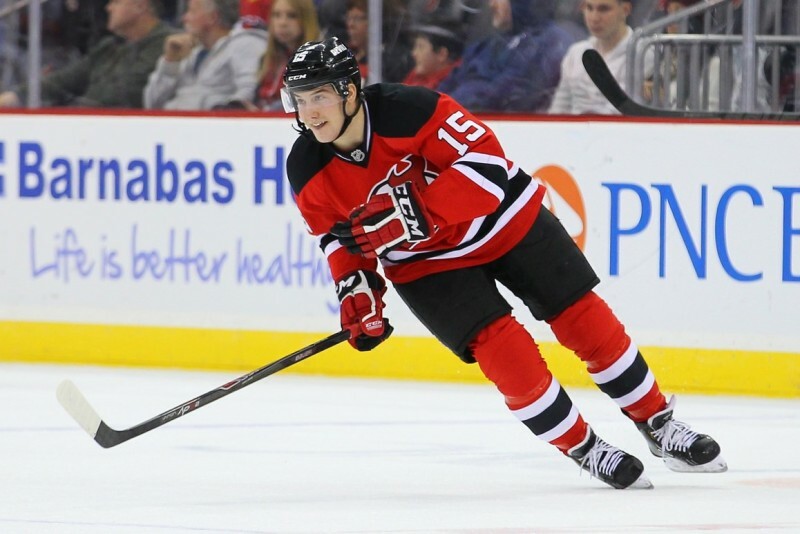 Headlining the rooks participating for the Devils includes Pavel Zacha, the team’s 2015 first round (6th overall) selection, who signed a three-year entry level contract just under a month ago. Just four players between the three clubs have NHL experience including the 2014 second overall pick, Sam Reinhart who played 9 games last season with Buffalo, tallying 1 assist before returning to juniors. Defensemen Jake McCabe, who saw two games in the NHL last season and 7 games at the end of the 2013-14 season will also participate. The other two rookies with NHL experience are Reid Boucher, who enters the most NHL-seasoned player at the tournament with 34 NHL games between two seasons under his belt, with three goals and five assists to boot. The Devils will also send Raman Hrabarenka, who played one game in New Jersey last season. Among the others suiting up for the Devils in Buffalo include forwards John Quenneville, New Jersey’s 2014 first round (30th overall) pick, Joe Blandisi, a Colorado draft pick who went unsigned by the club before signing with N.J. last year and Max Novak, a native of Oak Ridge who played four games in Albany last season after finishing his collegiate career at Union College. Zacha will certainly be the center of attention for Devils fans, pegged as an NHL-ready, 18-year old prospect who could make an immediate jump to the Devils next season. Still, Blandisi, who once attended the Sabres development camp on an invitation will be generate some hype after putting up 112 points in 68 games in his final season of junior hockey with the Barrie Colts, helping him earn honors as the OHL’s Overage Player of the Year. Another player to watch will be Blake Coleman, a 2011 third round (75th overall) draft pick who signed a two-year deal with New Jersey on July 1, after completing his collegiate career with Miami (Ohio), scoring 37 points in as many games in his senior season. Coleman’s ability to play center could help a Devils team with some open spots up front. 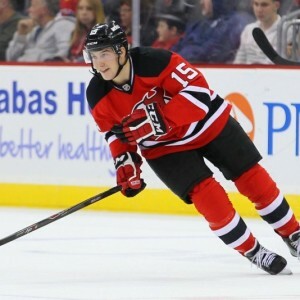 Defensively, the Devils will showcase recently signed Vojtech Mozik, a 22-year-old Czech defensemen who has played the last four seasons in the Czech league where he tallied 49 points in 157 games. Highly-touted, Joshua Jacobs (2014, 41st overall) will also be participating. Jacobs is coming off completing his freshman season with Michigan State, where he finished with 9 assists in 35 games. Jacobs announced he will be leaving for Sarnia of the OHL at the conclusion of the academic year. A complete list of the Devils prospects set to participate in next week’s tournament can be found here. Also available: the Bruins and Sabres rosters.